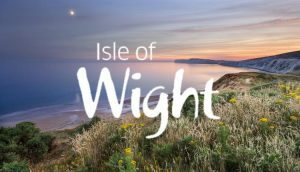 The Isle of Wight offers such a variety of things to do, visitor attractions and places to visit are in plentiful supply on the Island, with something to suit everyone. You really will want to come back time and time again and that is perfect as you can try a different Isle of Wight self catering holiday property with The Wight Holiday Company each time you visit! The isle of Wight is renowned for its beautiful beaches and coastline. A self catering holiday to the Isle of Wight would not be complete without a visit to the beach. The Island currently has the highest number of award-winning beaches in England, take a look at The Wight Holiday Company BEACHES page for an insight on which may suit you best. The Wight holiday Company have a number of Isle of Wight self catering holiday properties that either offer you seas views or are very close to the beach. You will not be short on attractions and places to visit when visiting the Island, with such a variety you will find something to suit everyone. Whichever The Wight Holiday Company self catering holiday accommodation you are staying in on the Isle of Wight, you will not be far from an adventure. Take a look at The Wight Holiday Company ATTRACTIONS page for our best picks. You can always keep the kids entertained at a fun park like Robin Hill Country Park, or by visiting fantastic animal attractions such as the Isle of Wight Zoo. For an engaging, inspiring and exciting day out for casual visitors and families alike, visit the award-winning Isle of Wight Steam Railway, based just outside of Ryde on Havenstreet, and take a ride behind one of their vintage steam locomotives for a special journey back in time. Get a taste of the Isle of Wight’s history and culture by visiting one of our Museums & Galleries and historic sites. There are many shopping opportunities on the Isle of Wight for those looking for some retail therapy. Take a look at The Wight Holiday Company SHOPPING page for the best picks of where to head for the best Island produce as the Isle of Wight offers a range of fantastic locally produced food and drink with local restaurants, farm shops and the weekly Farmers’ Market catering for all your needs. One of the best ways to see the beautiful coastline of the Isle of Wight is from off-shore, and there are a number of sailing and boat charters available throughout the year. You can also get some great views from the Isle of Wight Ferry and hovercraft services. These range from leisurely sight-seeing tours to sailing tuition and more “hands on” sailing experiences. For Fishing enthusiasts there are also charter boats available. If you enjoy outdoor activities, the Isle of Wight has it all. The stunning coastline and warm climate mean that this Isle of the perfect playground for those who love the outdoors. Taking in fresh air and beautiful views. Walking, cycling and horse-riding are freely available for those of all abilities, with more than 500 miles of footpaths and established walking routes, and 165 miles of bridleways waiting to be discovered. The Isle of Wight was recently crowned one of Lonely Planet’s “Top 10 Cycling Destinations in the World” – find out more in our Bicycle Island section. If you’re after something a little more extreme, you can try your hand at one of many adventure activities such as tree climbing, paragliding, or sailing with knowledgeable guides, or sit back and watch the experts do it, with several top class events taking place throughout the year. There are also plenty of water sports for you to get involved in throughout the year. The Isle of Wight also has a number of golf courses, many of which are set against picturesque backdrops, making it the perfect place for a golf weekend break or holiday. For those that are keen on fishing there are a great range of opportunities, with both freshwater and sea fishing available at a whole host of locations around the Island.